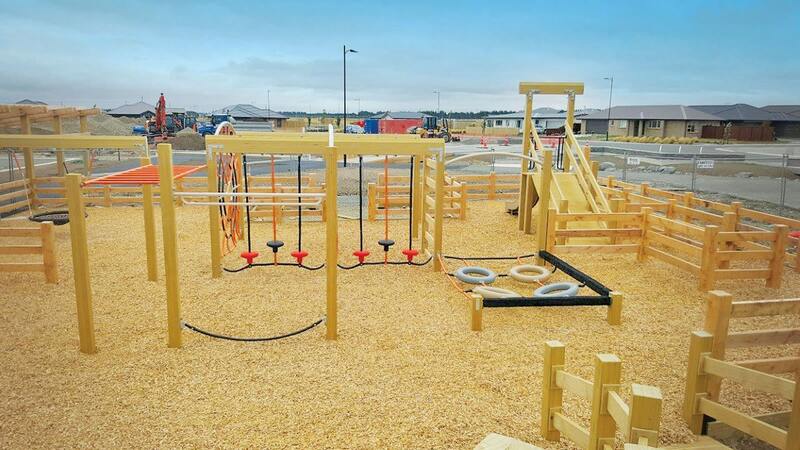 The Rolleston subdivision of Stonebrook wanted to create a truly unique playground experience. 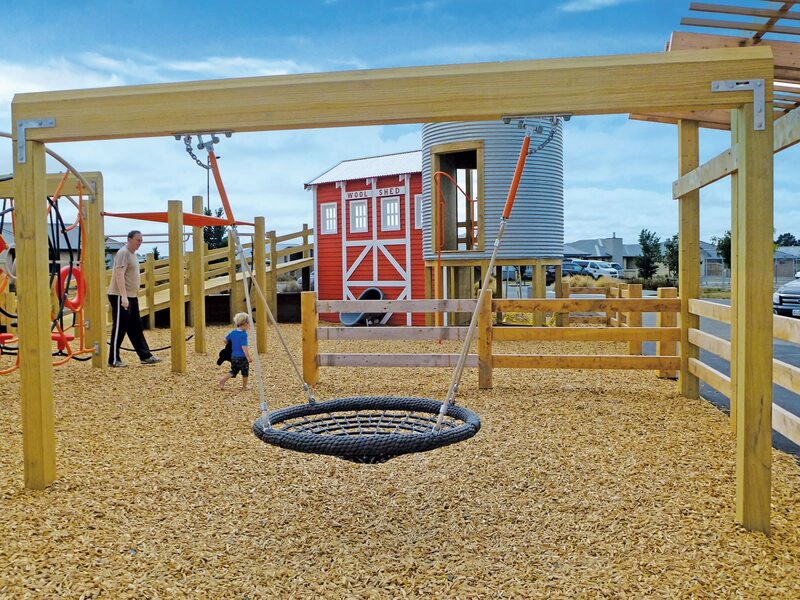 Located in the largest town in New Zealand’s rapidly growing Selwyn District, developers wanted to reflect the wider area’s farming heritage while providing a contemporary, exciting space for children of all ages and abilities. 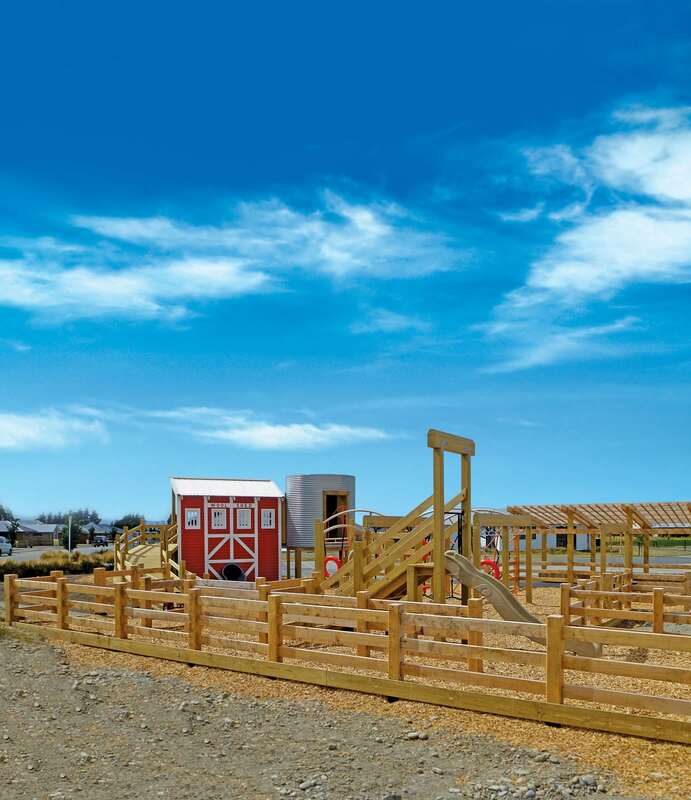 The Village Yard Playground in Stonebrook Park offers children an imaginative glimpse of life of a farm. 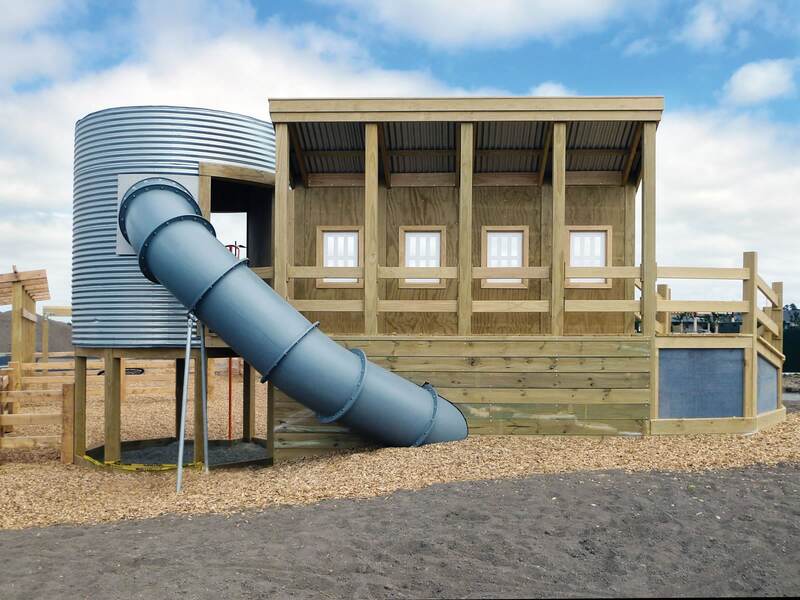 A truly customised creation, it comes complete with its own woolshed and sheep yards, shearing shed and tank stand to provide hours of delight. 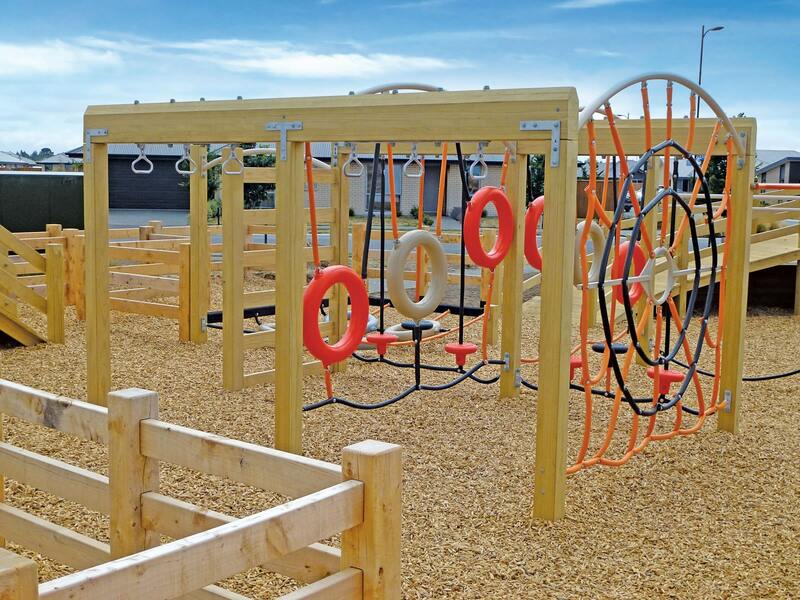 With an inclusive basket swing, great slide (emerging from the tank stand), climbing net and hoops, moving steps and wooden ramps, it provides an ingenious ‘pretend world’ with plenty of age-appropriate challenges and fun! A true destination playground, this 100% unique space will undoubtedly be a drawcard for families to the new area.